- Massive database of 40,000 courses. - Accurate distances for up to 30 targets per hole. - Robust scorecards and detailed statistics. - Seamlessly integrates stats with the GolfPlan App. 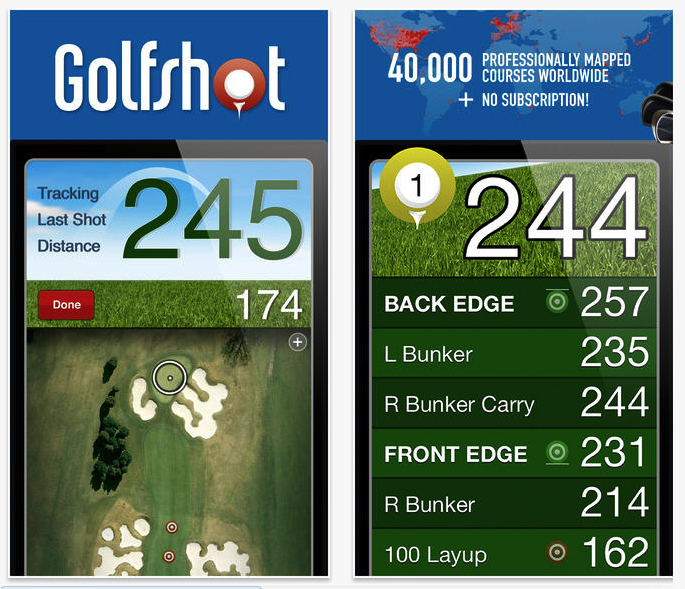 Golfshot's opening screen simply shows play golf, statistics, scorecards, and account. Selecting play golf uses the iPhone's GPS to find nearby courses, and lists the course's town and distance in miles. You may also search/browse courses elsewhere. After you arrive at your course, select your teebox and, if you wish, name the golfers in your group (up to four) for scorekeeping. Your first screen when you start play shows you a number of yardages, depending on the hole distance and layout, including distance to the pin, bunker and water carries, and layup distances. Save your round when you're finished, and save your scorecard. 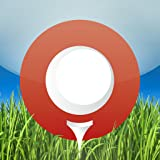 Golfshot Golf GPS App provides ongoing score and total info for your foursome during the round, and presents a nice scorecard graphic at completion of the round.